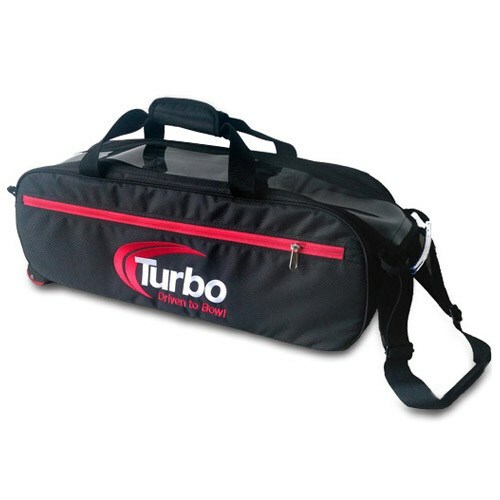 This Turbo Express bowling bag holds three balls, and has a side pocket for accessories. It is constructed of high strength, tech-nylon fabric with contrasting black straps and trim. This is a great bag for tournament travel! Light-weight for frequent travelers, Approx. weight 4.5 – 4.8 lbs. Due to the time it takes to produce the Turbo Express 3 Ball Travel Tote Black/Red ball it will ship in immediately. We cannot ship this ball outside the United States.